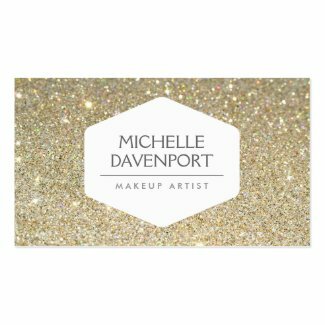 New a new identity for your business adventure as a cosmetologist? Take a look at these creative designs especialy made for people working in this industry. Trendy company card templates for men and women who’s passion is styling. 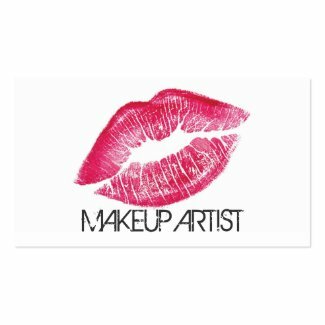 If you specialize in make up, hair and nails then these inspiring cards may be just what you are looking for. A professional image is important but can take time and money to set up. With these templates you can start immediately and it won’t cost too much. Order a pack today with your own professional stylist logo, name or monogram and start handing them out to clients tomorrow. Fulfill your business card order at zazzle.com. Starting your own dog walking business and need cool business cards to hand out fast? Why not use one of many well designed templates. It’s easy, cheap and fast. Choose a design you like, edit your contact details, place your order and wait till they get sent to your home. You can order other stationery products as well like flyers, lettersheads, stickers and more. In case you don’t have a website yet you can also get creative templates for that. With the business cards it’s also good to know that you can create a unique image yourself. You can upload your own pictures or graphics of dogs for example and use them on the print. Fonts and colors can also be modified. This way no layout has to look the same. The printing service will take care of everything else and send your order to your home quickly. Below is just one example but there are many more to choose from. Write original articles that can’t be found on other websites. Aim for high quality and check your text for spelling mistakes. Submit relevant or on topic articles. Facebook Cards is a new initiative between MOO and Facebook to create real business cards based on your Facebook Timeline. It takes your profile picture and different images from your timeline to create a set of 50 unique business cards. On the backside you can place a personal quote or saying. And last but not least you can add your contact details. The video below explains exactly how to go about it. The service was FREE for the first 200.000 people who signed up but that was in January 2012. The service is now also available for businesses. Maybe you can still get a discount. Finding a good business name isn’t easy. It has to sound good and it can’t be too long. The idea is that people can easily remember it. It’s also important that the domain name is still available. Some companies go for web 2.0 names, a name that is completely fictitious ideal for a website offering a unique service. Examples of such creations are Twitter, Flickr, Yahoo and Google. These are unique names which is great but remember it might take longer for people to really remember them. It will take more marketing efforts to become well known and that in return costs more money. The advantage is that nobody else has such name. There can be no confusion with competitors. To help your company name be more easily remembered you can use associations in the name. Like Flickr is associated with the flickering of the flash on a camera. That makes sense since the service is all about photos. If you find thinking up a name is difficult there are some online business name generators you could give a try. Company-name-generator.com is one of them that lets you edit some settings and actually checks if the domain name is free to register. Play around with and see what comes up. You may get inspired by some of the words. The video below gives more free tips on creating a good business name for your company. With all the online business card programs you would think there is not much need for a program that you can download. Nevertheless that is exactly what the company NCH if offering and it’s completely free. With this software you can create and print your own business cards or create high resolution PDF files for printing services. A big selection of single and double sided templates in included with the program. It’s also possible to use your own logo or photo in the design. The program called CardWorks runs on Windows Vista, XP and Windows 7. It can be downloaded from the website http://www.nchsoftware.com/businesscard/ You may also like some of their other products which include software for converting images, invoicing and video conversion. Putting the Google logo on your business card may sound strange but this example has done exactly that. It’s actually supposed to look like the homepage of the search engine. In the search bar they put a popular search term that they can be found on. The search result is the website of the company. In this case a printing service. It looks exactly how Google would display it. A clever idea that will get people talking about your card and hopefully your business even visiting the website. The great thing is that you can do exactly the same for your company. Keep in mind people could actually try to type in the search term you use and that may lead them to competitors too. If you are really in the nr 1 spot however it is a nice way to show off. 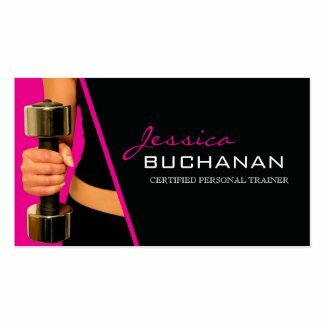 Looking for business cards to respresent yourself as a personal trainer? We have gathered a nice selection of sporty templates that are perfect for the job. To make them yours you only have to customize the text. You can do all the editing online without downloading stuff. You might also be interested in other stationery products like flyers and posters to promote your fitness service. After you have a finished a design you simple place an order for things to be printed. For free webdesign themes check out the menu above. Below are some of the best business card examples we found. An example of a card with a good stockphoto of a muscled man working out with a dumbell. The same design but then geared to women. Getting fit is not only about weight lifting. The above pictures might not appeal to everyone. Instead of pictures you can also use illustrations like this card that shows some exercises and stretches.